May is Mental Health Awareness month, and that makes it a good time to talk about America’s Drug epidemic…an epidemic that affects older adults every bit as much as it does teens. It also is a good time to start a conversation with that older loved one in your orbit. Mental health is not just an issue of seniors, but you might be surprised to know that prescription drug misuse disproportionately affects Americans 65 and older. And it is part of an growing trend. In 1988 about one in three Americans had been prescribed three or more medications, but that has grown to well over half the 65+ group now having three or more meds in their bathroom cabinet. And that does not include the rising rate of alcohol abuse among seniors in America. Why the increase? When you talk with public health officials they cite an increasingly fragmented health care delivery system where all of a patient’s physicians may not be communicating with one another. So, the number of prescriptions will rise as a function of the aging complaints and the number of physicians a patient sees. Older patients are receiving an escalating number of anti-depressants, anti-anxiety meds and prescriptions for sleeplessness. And older patients just live long enough to have more pain and more medical issues, and that begins to explain the escalating number who receive prescriptions for opioids…it is not just “take two aspirin and call me in the morning” any longer. And aging has a way of exposing an individual to more of life’s losses that simply take an emotional toll: • Retirement is not always freedom – for many it is an emotional loss • Older adults also can outlive spouses and friends – another emotional loss • Some older adults live in fear of outlasting their money – an emotional strain • Surgery or other life changing medical episodes – an emotional strain • And the list goes on… All of the above can result in that conversation with a physician who attempts to relieve some of the physical or emotional pain medicinally. Or an older adult can self-medicate with alcohol. So, if you are a caregiver to an older loved one or have someone special in your circle, take time for a conversation. You may be surprised by what you learn. 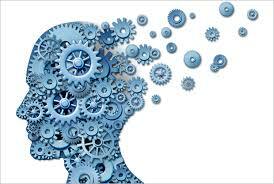 You may also find that you can be part of a mentally healthy solution to what may be affecting that individual. Starting a conversation is a great way toward becoming part of the cure. Charlotte Bishop is a Geriatric Care Manager and founder of Creative Care Management, certified professionals who are geriatric advocates, resources, counselors and friends to older adults and their families in metropolitan Chicago. I had the good fortune recently to meet Jennifer Muskat, the Director of Client Services for San Diego Home Care Assistance. She shared some helpful perspectives on the importance of geriatric care management services for older adults who need emotional support. "The physical obstacles that your aging parent or loved one encounters in old age are often the most noticeable. While you can easily observe their struggles with walking or daily chores, it is much more difficult to recognize, understand and empathize with the emotions they experience on a day to day basis. Your elderly loved one will be forced to deal with a handful of life-changing events as they age. Retirement, forfeiting the right to drive, and the loss of a spouse, sibling or close friend are just a few examples of inevitable changes that accompany aging. Without emotional support from family members during life’s new and unfamiliar events, seniors become vulnerable to depression and often suffer from a decreased quality of life. As an adult, your sense of worth comes from your ability to provide for your family, perform your job well and most importantly, function as an independent individual. Whether from frailty or age-related illness, seniors lose these abilities, resulting in an increased dependency on their adult children. When this role reversal occurs, many seniors experience feelings of worthlessness and a lack of self esteem. 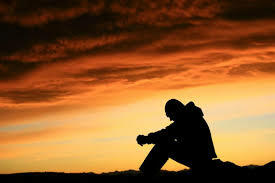 Becoming dependent on their children, who once relied on them for everything, is difficult to cope with emotionally. When neglected, these negative feelings can result in depression in seniors. They feel alone and helpless and that no one understands their situation. To ensure the health and wellbeing of your loved one, it is crucial that you are aware of how your loved one may feel. If they seem withdrawn, upset or have just suffered the loss of a close friend or family member, take the time to talk with them. Listen with patience and compassion and try not to criticize their feelings. By letting your elderly loved one know you are by their side and are available to offer emotional support, you can help combat depression and enhance their overall happiness and quality of life. Also recognize that seniors become socially isolated in their later years and encourage your loved one to pursue new hobbies and stay in touch with old friends. Participation in these activities offers another channel for emotional support. We often do not look beyond the physical ailments of our aging parents and fail to provide the emotional support and encouragement they once provided us as children. However, it is never too late to help. Reach out to your elderly loved one and let them know you are there for them as they enter this new stage of life." Jennifer Muskat is the Director of Client Services for San Diego Home Care Assistance. She offers geriatric care management services as an advocate for senior health and wellness. By constantly developing new programs, she ensures Home Care Assistance caregivers can provide optimal quality of life for senior clients. Charlotte Bishop is a Geriatric Care Manager and founder of Creative Case Management, certified professionals who are geriatric advocates, resources, counselors and friends to older adults and their families. 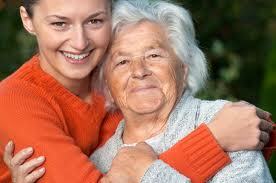 We provide elder care services to those in metropolitan Chicago. Please email your questions to ccbishop@creativecasemanagement.com. Keep to a regular, daily routine with your loved one so that they do not have to process new information late in the day; they simply cannot be intellectually nimble. Avoid having dinner being a heavy meal, and avoid sweets, caffeine or alcohol. Limit naps to earlier in the day; make sure they have not had a chance to nap within four hours of their bed time. Keep the lights on, but close the curtains to limit the shadows they must process or navigate, and limit noisy distractions. Be calm and reassuring, and if they make an assertion about a loved one who is no longer alive, do not argue – acknowledge and then redirect. 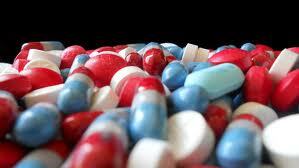 If none pf these work, it may be more than just sundowners; talk to your loved one’s physician. And take care of you, the caregiver. I had a client who talked about the transition from having six hours of uninterrupted sleep a night to having six hours of interrupted sleep. That is a recipe for disaster – your own. Take naps or breaks during the day for yourself, and do not lose contact with friends and hobbies. Get respite care; reach out to the senior communities within your locale for a place to drop off your loved one or for home care personnel who can come to your loved one. You also will get support as well as good ideas from a local caregiver’s support group; yes, it does take a village. Charlotte Bishop is an Aging Life Care Professional and a Geriatric Care Manager and founder of Creative Care Management, certified professionals who are geriatric advocates, resources, counselors and friends to older adults and their families in metropolitan Chicago. Please email your questions to info@creativecaremanagement.com. Happy Valentine’s Day…a couple days late. February is American Heart month, so why would I start by talking about your older loved one’s pancreas? Let’s start with the fact that one in four adults over age 65 develops diabetes. And although it is over-simplifying things a bit to say that type 2 diabetes is all about having too many sweets, there is a strong connection between consuming too many carbohydrates over one’s lifetime and developing type 2 diabetes. 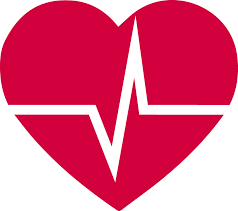 Unfortunately, there also is a strong connection between diabetes and cardiovascular disease. But wait, it gets even scarier. The combined prevalence of prediabetes and diabetes – both undiagnosed and diagnosed, respectively – is estimated to be between 50% and 80% among older Americans. So, why does this affect the heart? Well, diabetes has a way of making a person’s blood a bit sticky. Well not literally sticky like gum on a sidewalk, but uncontrolled diabetes leaves more sugar floating in the bloodstream, and the sticky cells that have been tangled up with the blood sugar tend to block the smallest vessels in the cardiovascular system. The heart may pump blood through some very big arteries, but the muscle itself is made up of a lot of microvascular pathways that keep it fed and oxygenated. Once we add free sugar to the mix, some of those tiny vessels become clogged. The less well-controlled the diabetes is, the more sugar is roaming the cardiovascular highway, and the more blockage there is. No surprise then, that in excess of 70% of both men and women over age 60 have some level of cardiovascular disease. Now, we could go on about the damage to other microvascular regions of the human body like the kidneys or even the eyes and the feet and the hands, but the lesson is already clear. As we reflect on our past valentine’s day, go a bit lighter on the candy that may still remain in the box and a bit heavier on the love. Because in addition to hurting the little vessels of the heart, the excess chocolates that we cannot burn as energy for our bodies get stored. And you probably already see where this is going; the unused sugar gets converted to fat, and each pound of that unwanted baggage creates another mile of blood vessels. It is a bit crazy to think that we have to feed the fat, but every cell of the human anatomy is no more than one cell away from a supply of blood. So Valentine’s Day has to share the calendar with American Heart Month. And if we all do that, then maybe we can even consider renaming February as American All Around Healthy month? Charlotte Bishop is an Aging Life Care Professional and a Geriatric Care Manager and founder of Creative Care Management, certified professionals who are geriatric advocates, resources, counselors and friends to older adults and their families in metropolitan Chicago. Please email your questions to info@creativecaremanagement.com. Does your older loved one have high blood pressure? We tend to think of hypertension as a condition that affects the heart and the circulatory system, and it does. But it also affects the kidneys' ability to filter the fluids in your loved one's body. 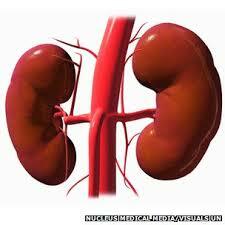 If kidneys are impaired, all the other major organs of the body are compromised. Does your older loved one have diabetes? If the diabetes or even prediabetes is not well-managed by diet or insulin, the kidneys pay the price. Those extra glucose molecules that stick to the red cells begin to gum up the kidneys, and that again puts everything else at risk. Does your older loved one smoke? We all have heard about how smoking is bad for a person's heart and lungs, but a lifetime of smoking also compromises the kidneys. It does this, because the smoking raises blood pressure, and as I said, high blood pressure will compromise the kidneys' ability to filter fluids. Does your older loved one have a weight issue. It's very simple. Extra pounds translate into elevated blood pressure, and you can see where that takes your loved one. How old is your older loved one? Birthdays are not exactly the problem that can result in kidney compromise, but a lifetime of exposure to any of the risk factors I have highlighted will harm the kidneys' function. As a caregiver, you should help your older loved one also appreciate that kidneys do more than just filter the fluids we consume each day. They clean the blood and help to regulate blood pressure. The kidneys also help in regulating the calcium that is available to your older loved one's bones which can be why some people develop kidney stones (which are calcium oxalate). So, all of this is to help show that geriatric care managers also help families use nutrition to improve the health of their older loved ones which translates into not only increased quantity of life, but also enhanced quality of life.